The Tractor Ted Farm Show takes place at Bowood House, Wiltshire on Sunday 8th June 2014, from 10am - 5pm. 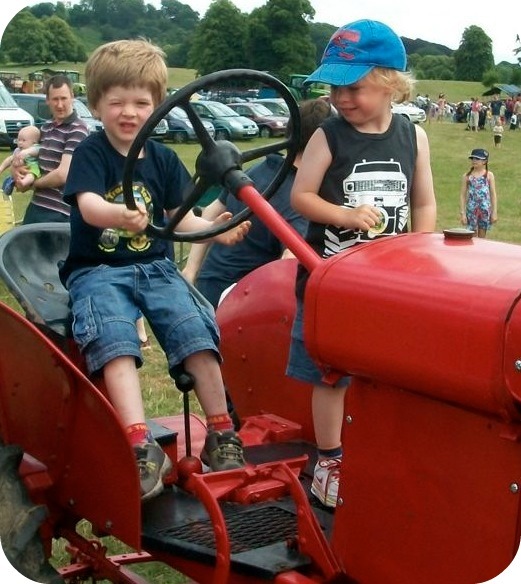 More than 10000 people are expected to visit to experience all the fun of the farm that day, with non-stop displays of tractors, diggers and a giant combine harvester, alongside trailer rides, machinery repair, animals and the star attraction - Tractor Ted himself and his driver. In addition to all the tractors and machinery on show you can also see the Bowood Charity Dog Show with classes for pedigree dogs, and for those who just want to have a go. There is a also a Summer Fair of artisan produce, perfect for a yummy picnic! This year for the first time, famous players from Bath Rugby Club and the England Squad will be running Bath's Farm Fitness Fun featuring fitness events including 'kicking the ball in the digger bucket' and the Tractor Ted obstacle course. 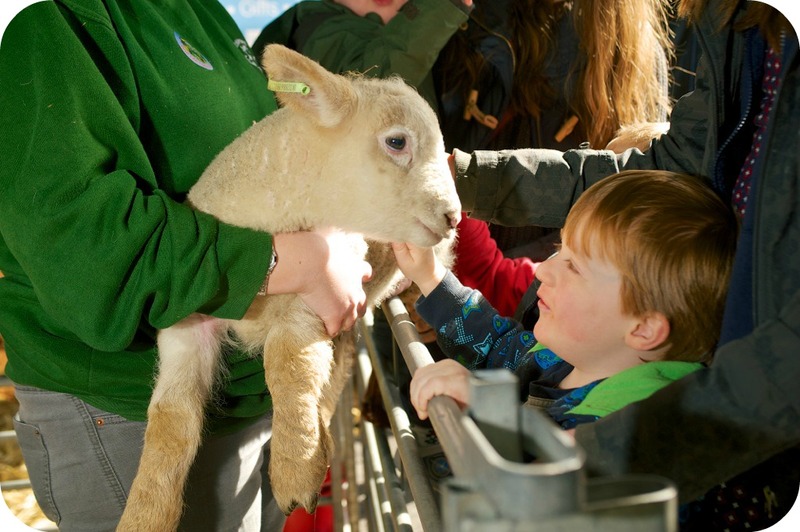 There will also be sheep racing, agility for sheep dogs, sheep shearing, falconry displays. donkey rides, circus workshops and a Spanish Horses display. On the day, gate proceeds go to local Wiltshire charities and they have raised over £800,000 over the last eight years! If you'd like to book tickets to the Tractor Ted Farm Show then they are available at a specially discounted rate online until 1st June. Adult tickets are £8 and children (2-16) are £4 (saving 20% on gate prices), visit the Tractor Ted website to book. 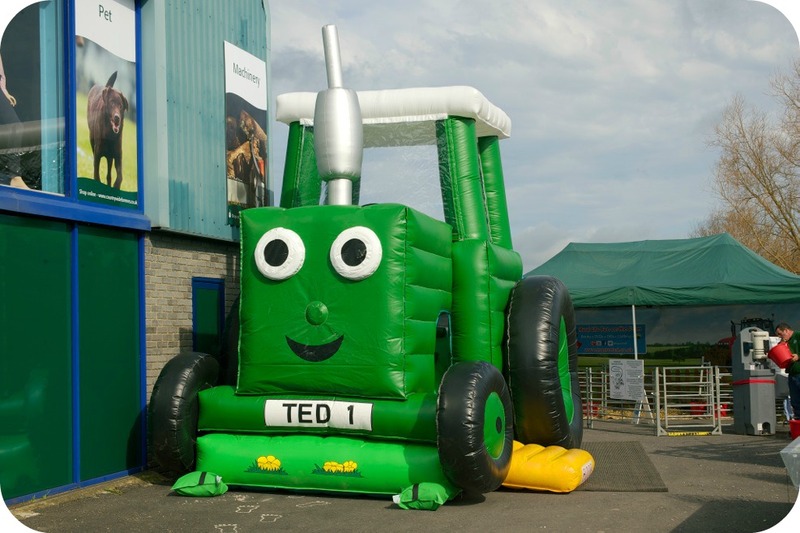 In addition to the build up to Tractor Ted''s Farm Show, the Tractor Ted blog has launched an online Easter Egg hunt where one lucky winner will win the Tractor Ted Bouncy Castle for their school or party! 20 runners up will win the Tractor Ted Spring Activity Book which we recently reviewed. Your child would be very popular with that prize! I've teamed up with Tractor Ted to give away Three Family Tickets (two adults and two children) for the Tractor Ted Farm Show. To enter simply complete the Rafflecopter widget below.the blog post comment is compulsory and will unlock a variety of additional entries. Please read the terms and conditions. 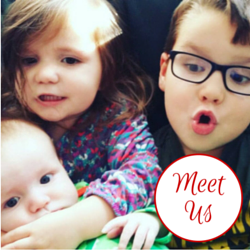 You can also enter at ET Speaks From Home for more chances to win.